Oomph! Creative is a team trained to successfully market your business through creativity and innovation. At Oomph! 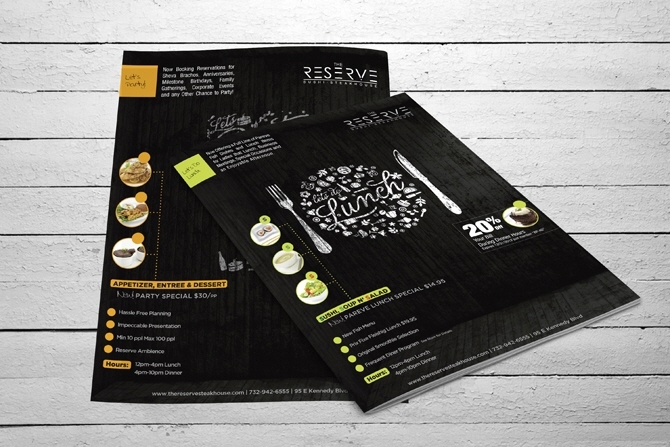 we believe your print designs are the key to your image. We don't just make brochures and ads, we make impressions. Don't send out a boring brochure, get a designer look and sell more products! Think of us as a strategic partner for your company. Whether you’re looking for a long-term design team or just need help with a small project, Oomph! Creative is here to help you succeed. New Jersey based graphic designer Mirel Goldwasser has been marketing products and services through print design for over a decade.